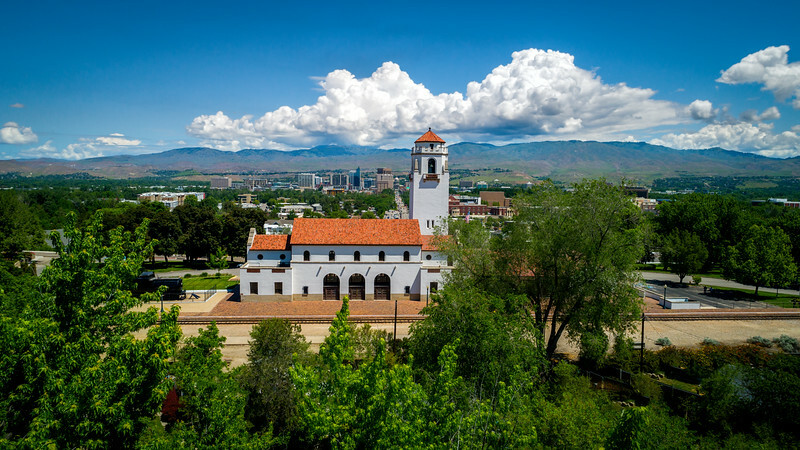 Perfect Spring conditions over Boise for this show of the famous train depot. Lots of storms moving through this time of year, Cumulus clouds can be seen over the foothills from all of the evaporation water. Boise is so green this time of year. It won't be long before everything turns brown.